Nigerian Richest Musicians | Their Net Worth – The Nigerian music industry is growing very fast with a lot of talented artists. On like those days, when Nigerian listens to only western Music. Nigerian is currently blessed with so much unique talent and they are making more money that we can imagine. Just like we always do, keeping you update on most categories mostly on entertainment. Below is a new list of Top 5 Richest Nigerian Musicians In 2017 and their ESTIMATED NET WORTH – You Won’t Believe Davido Tops Wizkid Now. 1. P-square – Out of the top 10 most viewed African music videos on YouTube, P-Square has five, so other African musicians share the remaining five. 3. D’Banj – The Coco Master is more a business man than a musician and he is an ambassador of the World Bank to the fight against poverty in Africa. He has a few deals of himself and he is worth a reported sum of N5 billion. 4. 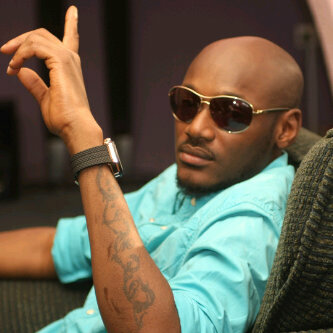 2Face – Innocent Idibia has enough money to cover up for his youthful exuberance, as his net worth stands at N4.5 billion. A fact that was confirmed to judge how many people showed up for his 41st birthday celebration. 5. Davido – OBO (Omo Baba Olowo) has done an amazing job of collecting wealth for himself. He’s the lead act in his HKN music group and he’s worth N2.9 billion. 6. Wizkid – Star Boy is an ambassador for the huge brand Pepsi and Globacom and he is supposedly worth a nudge of N2.8 billion. 7. 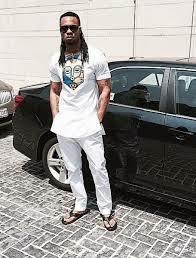 Flavour – He is a Globacom ambassador, the same company that has supported the richest musicians in Nigeria. As at the time of compiling this list of top 20 Richest Musicians in Nigeria, Flavour worth about N2.5 billion. 8. Banky W – Banky is an ambassador for top brands like Ciroc, Samsung, MTN and so on. The EME boss is supposedly worth a N2.3 billion. 9. Iyanya – The Yudala ambassador is worth an attractive sum of N1.8 billion. 10. Timaya – He is worth an impressive sum of N1.1 billion. M.I, Kcee, Tiwa Savage , Olamida, Phyno, ICE PRINCE , Duncan Mighty, Chidinma Ekile, Yami Alade, Patoranking. 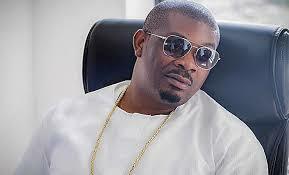 Below is a brief list of the Nigerian Top 20 Richest Musicians List. I will be limiting this list to only the top 20 richest musicians in Nigeria 2015. 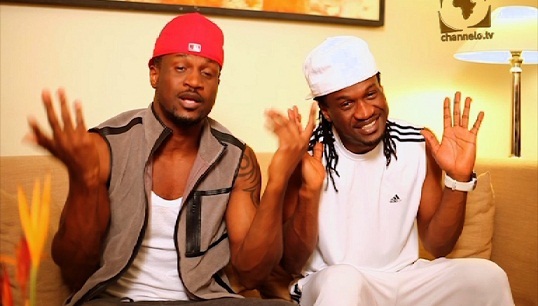 The popular Nigerian R and B identical twin singers Peter Okoye and Paul Okoye, popularly called Psquare have recorded the 2015 richest musicians in Nigeria.They have no competition, they only compete with themselves. Outside Akon, P-Square is the biggest music stars ever to come out of Africa, dead or alive! P-Square are by miles the most successful Nigerian musicians with endorsement deals and investments flying all over the place Pick up the all-time African top 10 music video on youtube, P-Square alone has 5, leaving the other 5 for the entire artistes in Africa to share! Beautiful Onyinye = 22 million+. Teste The Money = 9 million+. The only celebrity in the Nigerian entertainment industry that has the mansion in Banana Island where properties are sold in billions. They are the Cristiano Ronaldo and Lionel Messi of African music. P-Square is the only artiste in Africa you dare not book with less than $100,000. P-Square’s net worth is, $128.0 million. Please feel free to use the COMMENT BOX bellowfor your opnion also share this on your social media for others to know of it. How to Use Apple Pay to Make Transactions in UK | What’s Apple Pay? Some peope will be so mumuic to believe this list.. most especally the igbo guys.. This list is unreal.. guys checkout the real listing and see the correct rating by tin magazine. This list is very rubbish. Do you want to tell me that Flavor is richer than Tuface? I dont believe you mr. man. I can’t believe this FLAVOR is risher than TU FACE.mistake. You are really a fool,this is all about Nigerian worth not the world or american Okay. Nicki Minaj just have 70 millon dollars worth or USD Okay.but because our dollar is bigger than Nigerian money. Nicki minaj 50 million might cost or be 2 billion of Nigerian Naria okay so do not compare. you all speak nonsense everything about this post is false and deface. what do you guys take Nigerian musicians for? who is rihanna to be compared with all these guys listed. that they are Americans does that mean they are that wealthy. you guys don’t even know the the worth of our musicians and what they can do. as far as I am concern they are the best anytime, anywhere and everywhere. Sorry Mr/Ma MCKNYLE, But who are you for people (GUYS) to TRUST if you can TRUST DailiesRoom.com that have over good Numbers of readers (Visitors) daily? Please, just try make your own research properly before asking people to Trust you or saying what you feel like. Thanks and keep Visiting DAILIES ROOM if you really need an info you can believe of trust. Hehe, meanwhile all these posts are funny (not at all) and trollable.. let me ask yall one question. What is your net worth?.